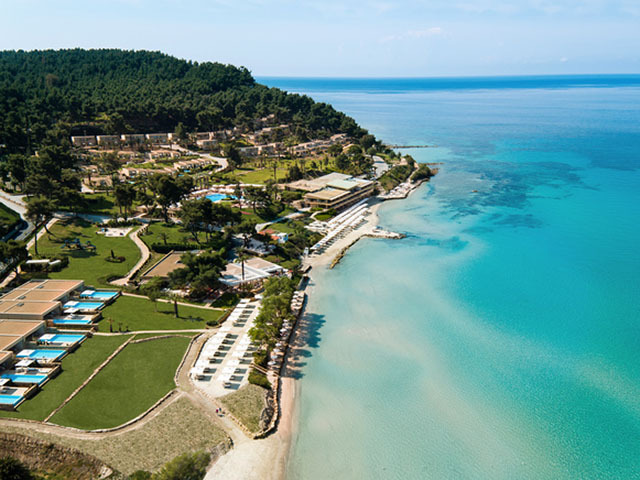 Open: April - October...Possidi Holidays Hotel is a luxurious complex situated in a pine - tree forest by one of the most beautiful beaches of Chalkidiki. It combines all modern comforts with flawless organization for carefree holidays in harmony with nature. Mr and Mrs. Papagianni, owners o0f the hotel, welcome you and reassure you that you stay at Possidi Holidays will be unforgettable. Open: April - October . 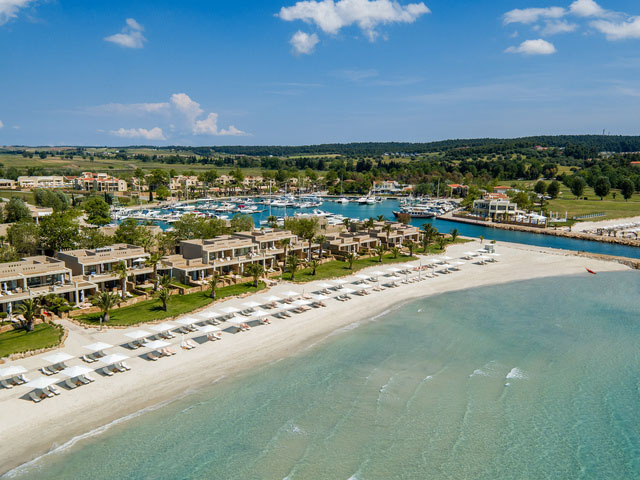 . . . . . . Shimmering azure waters, white sands and ancient olive groves adorning the surrounding hills; it would be hard to dream up a more serene idyll than the Sani Club. The luxuriously welcoming bungalows provide a private setting with stunning views, while a choice of exciting cuisines ensure your stay is very memorable. 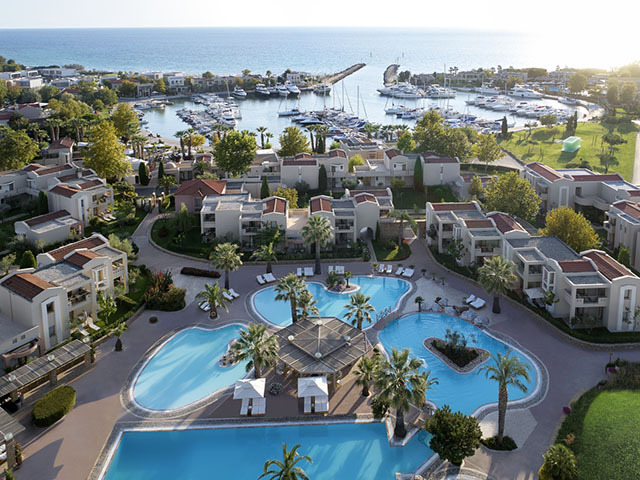 The intimate surroundings of this luxurious low rise hotel, with magnificent views over Mount Olympus and the Aegean, provide you with a dazzling array of amenities and fun activities, both on and off the water, to bring pleasure to all ages. 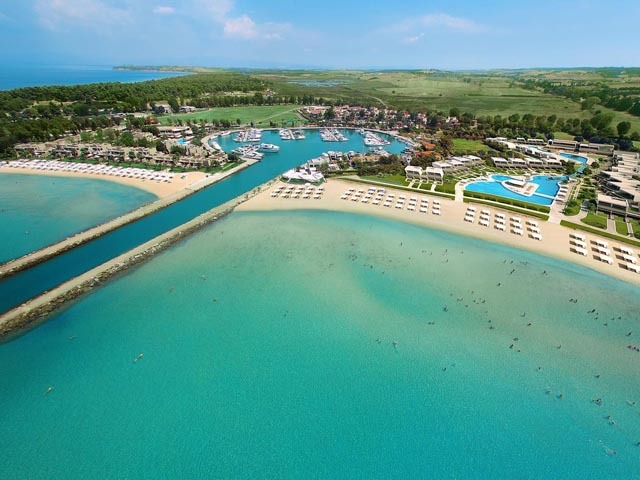 Open: April to October ... Beach life meets high life at Sani Dunes. A chic destination where the sophisticated ambience, exceptional cuisine and 'grown-up' environment promise the warmest of welcomes.